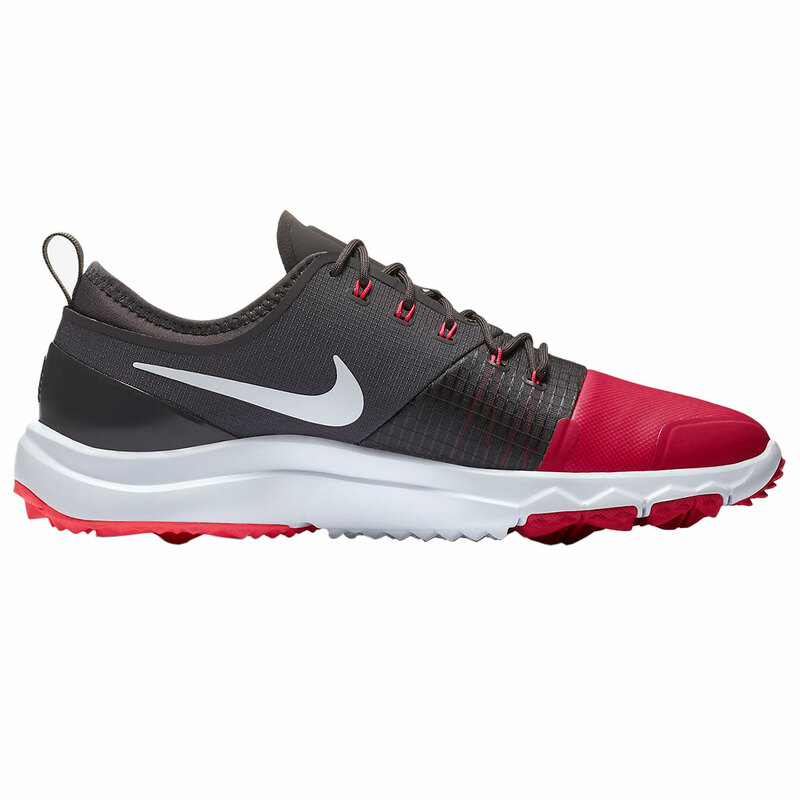 With a breathable lightweight upper the shoe stays comfortable and incorporates a membrane specifically designed to keep your feet completely dry and the shoes waterproof. The Nike FI impact shoes have taken inspiration from the Nike Free technology, meaning the midsole is created with Phylon, a very lightweight material which offers exceptional stability, cushioning and comfort when you are on your swing. 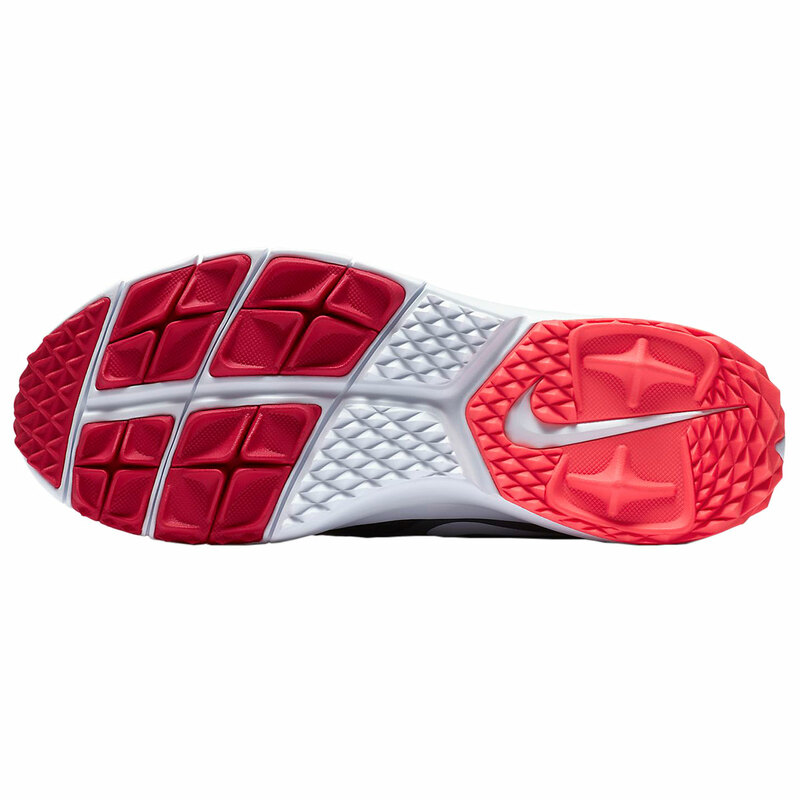 Don't be put off by the spikeless outsole, the strong and durable rubber has raised nodes that provide the grip needed to swing at your best in any conditions. 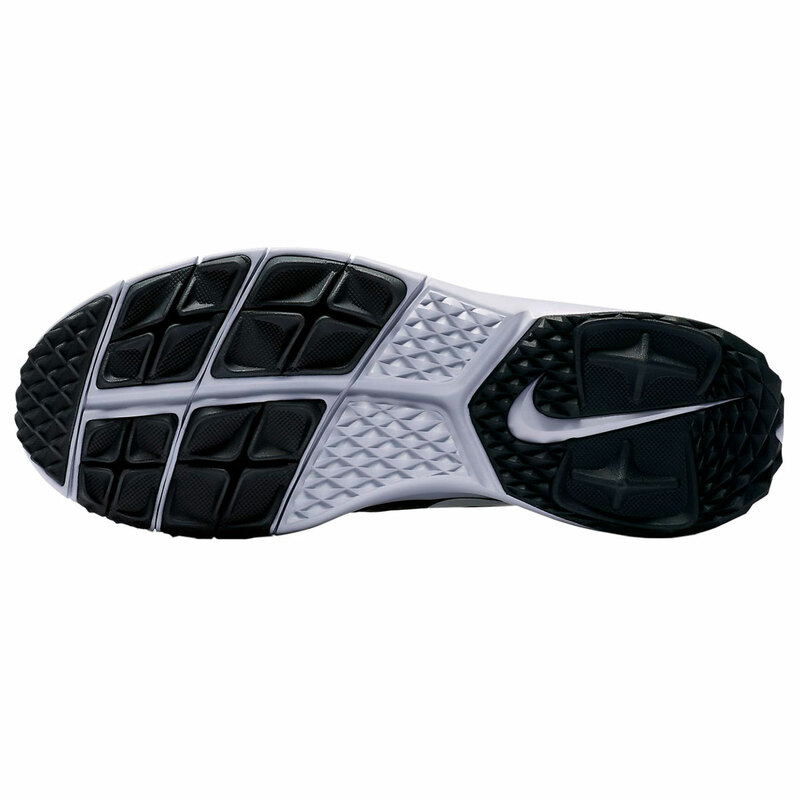 The traction pattern was purposefully created for excellent traction and the flex grooves offer massively improved flexibility. With a TPU heel counter you have a sturdy base to start your swing from, and the thin tongue and slightly extended gusset around the ankle provides a sock like feel and also helps to keep out any bits of rubble. The flywire technology integrates itself with the laces to allow a completely locked in feel and supports you on your round with the need to readjust.